The aviation industry boom that we have witnessed in the last decade has made it possible for us to choose from a wide range of international carriers connecting cities all around the world, so there is no need for travellers to fly exclusively with the flagship airline of a certain country in order to get to its most popular destinations anymore. When the time comes to book flights, knowing all the airlines operating our desired route, their flying times, whether they are low cost or not, the services they offer and their origin airports can be really helpful, since finding out this information in advance enables us to design the itinerary and budget that best suit our travel needs. If you are planning a trip to Marrakech in Morocco, take a look below and see which the main origin airports and airline companies flying to RAK airport are. Provided that you will be departing from LGW in the UK, know that Air Arabia Maroc, Easyjet and British Airways are the three airline companies connecting London to Marrakech via this airport. The three of them take about three hours to complete the route and offer non-stop services. Thomas Cook Airlines links Manchester in England to Morocco without stops on specific scheduled dates (check calendar of availability by visiting their official website), and getting to Marrakech with them takes three hours and twenty minutes. When flying out of Paris CDG, you may choose Easyjet or Air France (code sharing with KLM from this point) to get to Marrakesh Menara airport. The estimated time of this journey is approximately three hours and operations are run on a daily basis. Lufthansa is the carrier in charge of connecting Frankfurt to Marrakech in a little more than three hours on specific dates. Flights from Lisbon to Marrakech are operated by TAP Air Portugal every day of the year, and the estimated flying time is only one hour and fifteen minutes. 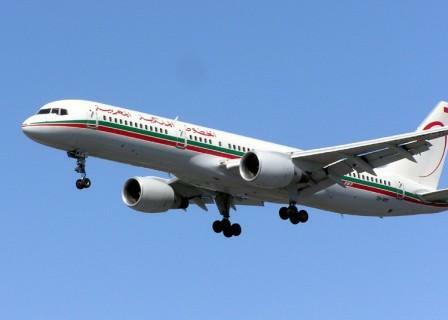 Should you want to take a trip within national territory, domestic flights between Casablanca and Marrakech are run by Royal Air Maroc and Royal Air Maroc Express in code share agreement with Turkish Airlines and Qatar Airways. This service operates on a daily basis and is as short as thirty five minutes. Vueling, as codeshare partner of Iberia Airlines, is in charge of covering the route from Barcelona to Marrakech every two days. The estimated flying time of this service is two hours and fifteen minutes. The renowned low-cost international carrier Norwegian Air Shuttle operates flights to Marrakech from Oslo airport, Stockholm Arlanda and Helsinki. Flying times range from three hours and fifty minutes to four hours and a half, and in order to book your trip you will need to select among the specified dates of their calendar. Additionally, you may fly from Dubai to Marrakech with them provided that you are willing to have a layover in one of the aforementioned three airports. The low-cost Irish carrier Ryanair flies to Marrakech in Morocco from Eindhoven, Pisa, Nürnberg, Madrid, Hamburg, Brussels, London Stansted, Milan Bergamo and Barcelona. Check their website to find out their scheduled dates and other additional info. Travellers who stay loyal to Swiss will be glad to know they can travel to Marrakech from Geneva airport in Switzerland, the journey taking about three hours and fifteen minutes and being available on specific dates only. If you will be visiting Marrakech in Morocco as part of your holidays, you will surely want to find not only affordable flights for you and your loved ones, but also a nice hotel or riad to stay at. In such case, we advise you to check on travel companies offering packages (flights + transfers + hotel) like TUI so that you can enjoy a totally worry-free leisure trip. Are you travelling to Marrakech for business? Why not book a hotel close to the facilities of Marrakech Menara airport? Transport links to the downtown are frequent and you will sleep in a much more convenient spot to catch an early morning flight back home. Next London to Paris: by Eurostar train or by plane?